No sooner did Yooma Mayo restage his Study for Mechanical Circus at Lost Town (La Città Perduta), which was to remain until August 31, than he thought otherwise and tore it down. For those of us who caught a another glimpse of this huge construction it was no doubt an interesting opportunity to compare it to the larger, completed, Mechanical Circus, about which I've just written. 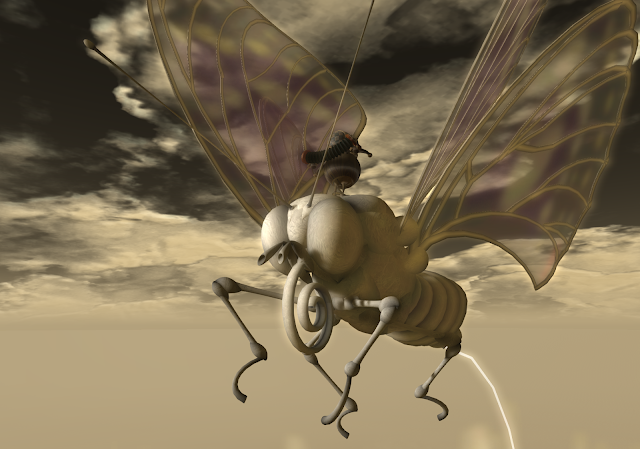 In its stead at Lost Town is a new work, Butterfly Dream – Mechanical Circus. While arguably less complex in design than the Study, Butterfly Dream is no less striking. In this entirely prim-built work, a large airship—about 100 meters in length—is pulled along by three butterflies, each gently tethered by long white strings. 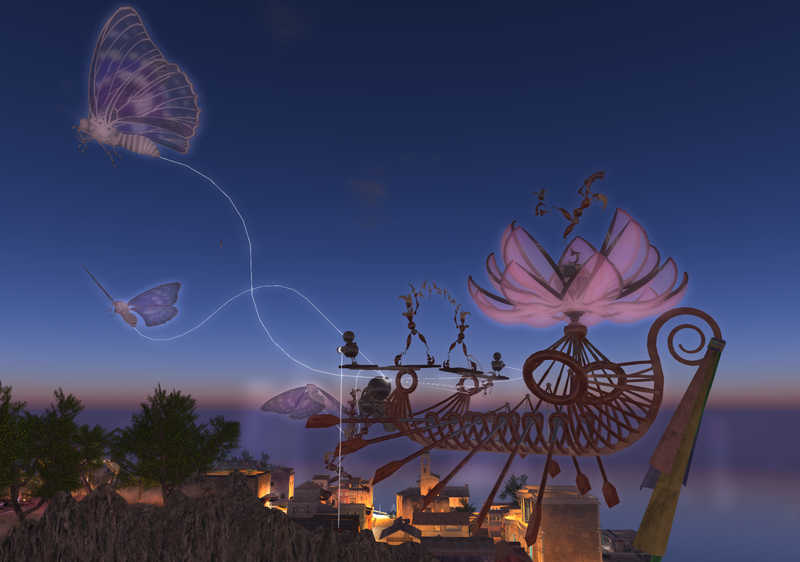 A few winged acrobats also lend a hand, while some of the little musician figures who appeared in Mechanical Circus here ride aloft on the butterflies and otherwise seem to be in charge of the workings of the ship, which is decorated with a great lotus blossom. Butterfly Dream remains on view until August 31.